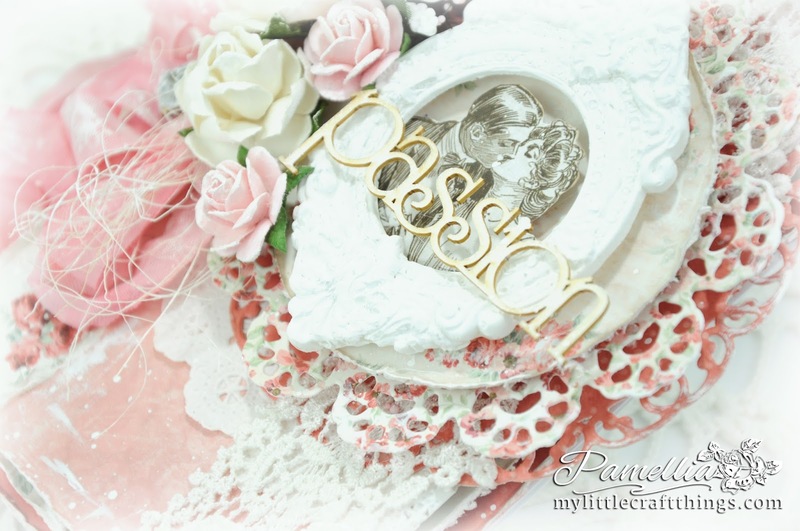 My Little Craft Things: Live & Love Crafts - Passion! I'm here today with another card for my Guest Designer spot at the Live & Love Crafts blog. Today I've put together a romantic card using Maja papers and a Wycinanka frame that could be used for a wedding or an Anniversary. Wedding season is almost over, but you can never have too many pink cards on hand, I say! lol. 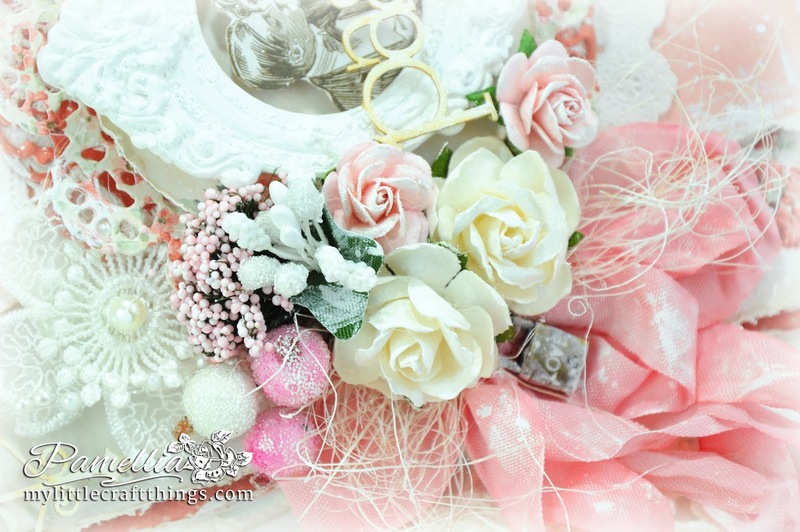 I've used lots of other goodies from Sandra's shop Live & Love Crafts, so stay tuned. The doilies were cut with Spellbinders and Prima dies and the frame was a custom one that I filled with hot glue and painted with Gesso. 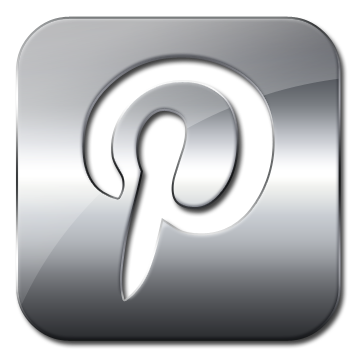 Everything else is from Sandra's shop and can be found in the linky below. STAGE TWO - if you build it, they will come! 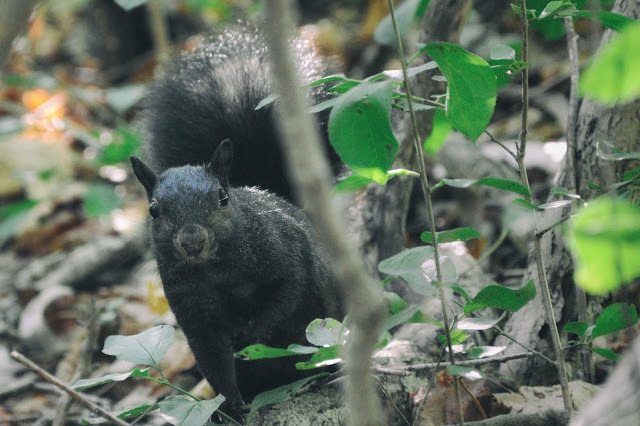 In stage two, the squirrels come down out of the trees to grab some food, just like in stage one. 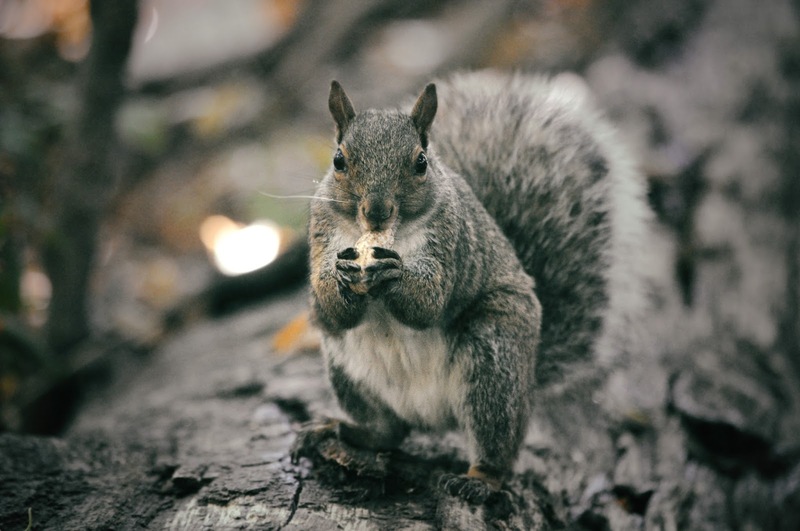 The difference is, they hopefully stay on the ground to eat or sit on the really low branches. This shows me that they trust me enough to not have to hide way up in the trees. It's a huge step for them and for me! They are starting to feel comfortable sitting on the stumps, logs and rocks that are situated around The Shire. These spots make for great ambient shots! Patience is the key here, it's just a matter of sitting quietly and allowing the squirrels to get used to my smell, the sounds of the camera and my yummy bag of food. Stage two is where I will probably spend a good portion of the next few months. This little girl just stole my heart. That look on her face, is one of mortification! 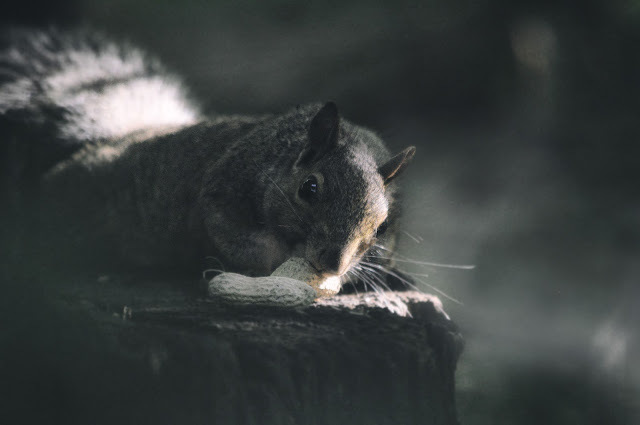 I have just thrown her a nut and just as she's about to grab it, another squirrel scoops it up and heads up the tree. 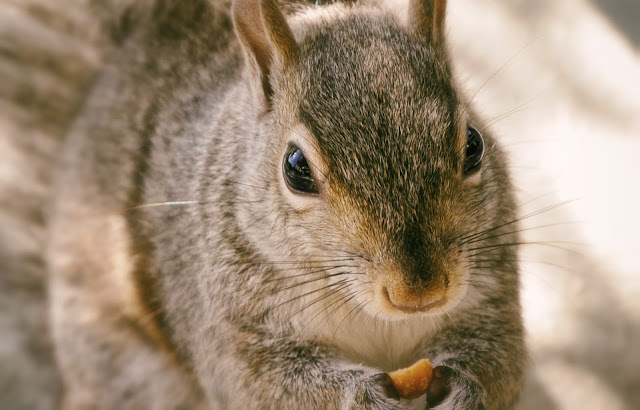 Every piece of food for these creatures is a matter of life or death. Poor thing, I threw her a whole handful of nuts of biscuits! I have switched from the zoom lens to a mid-range lens. 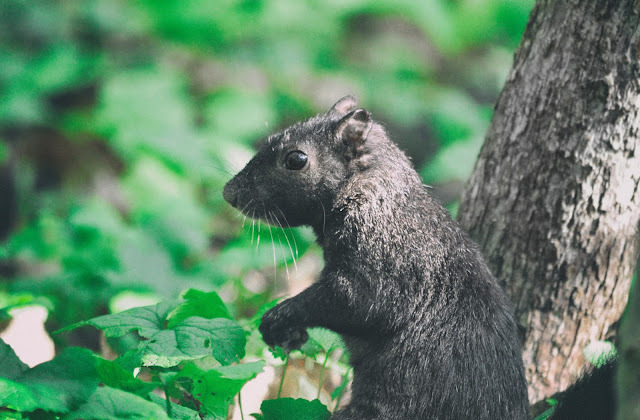 This allows me to still take shots of the Stage Two squirrels, but in case of a Stage Three emergency, I can still get a shot of squirrel who comes in a little closer. Something that would be impossible with the zoom lens. 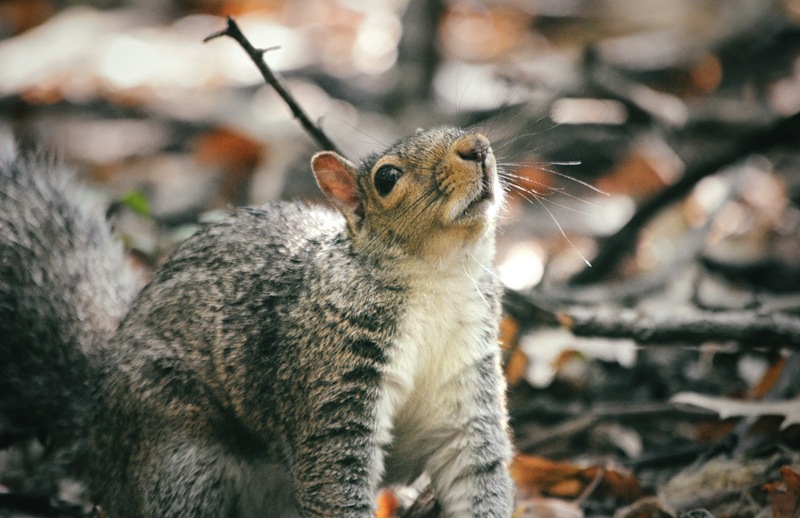 So far, it's been a real rush meeting new squirrels and birds, but my soft spot will always be for my friends back home. 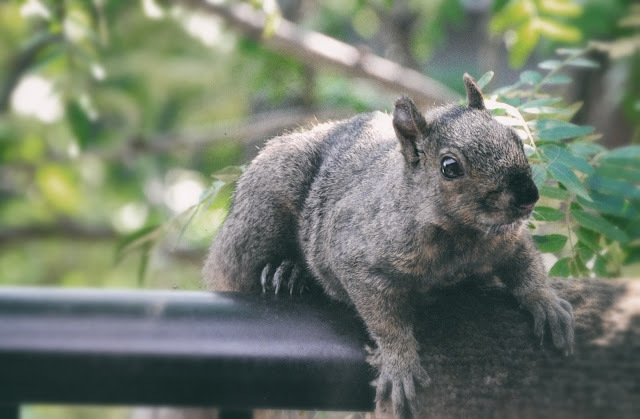 Today we have BRENDA watching me from the railing. 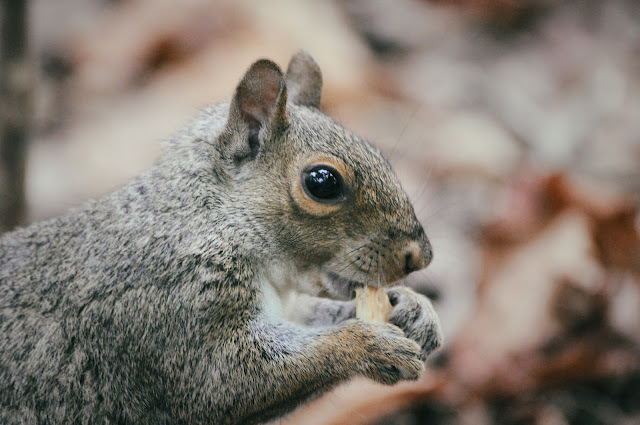 MR SCRUFF having a nibble. My beautiful KAREN watching me with those eyes that tell me she's so thankful for the food. And although JUNIOR hasn't been to the balcony for a few days, you'll still find him hanging around. 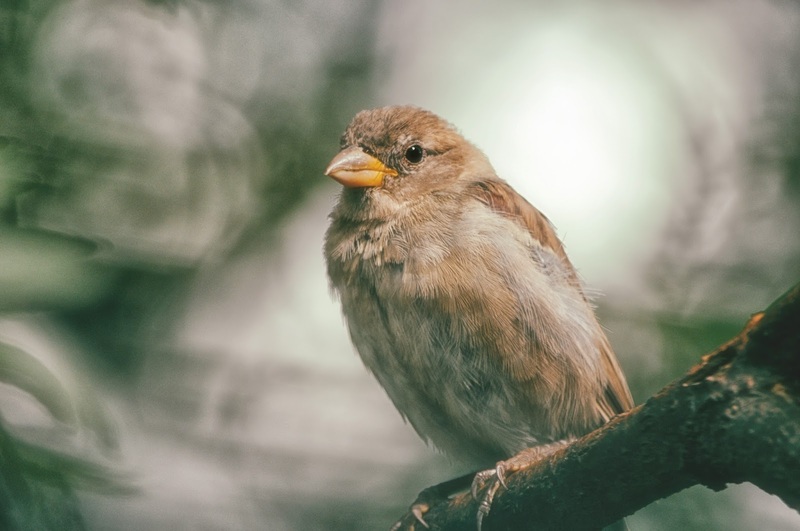 And let's not forget the amazing birds that visit me every day, like this stunning Sparrow. And the Chickadee who eats from my hand on a fairly regular basis now. It's just really hard to capture with the camera. 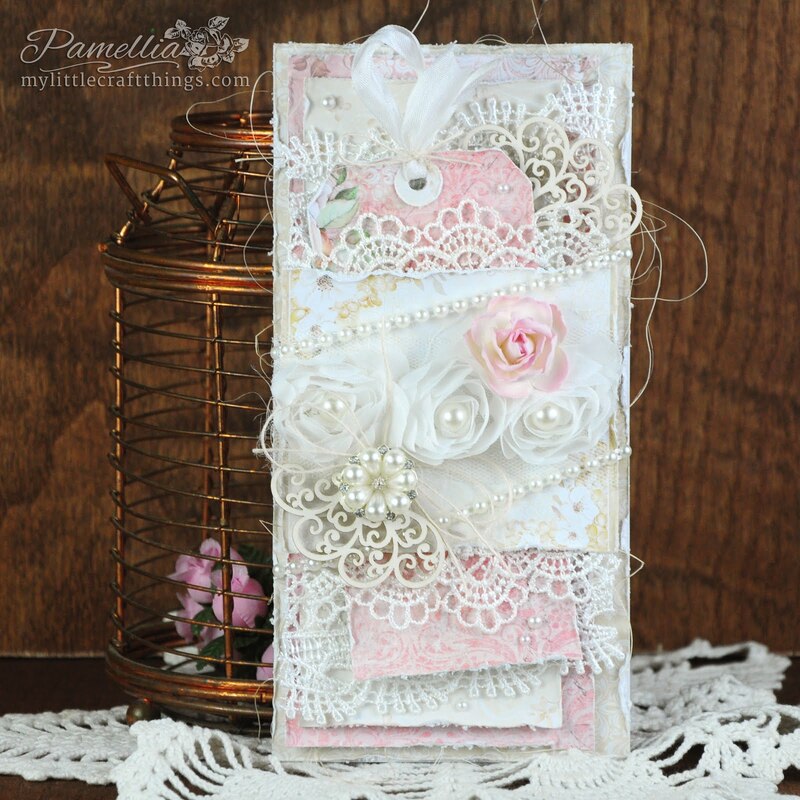 Another lovely creation Pamellia and all so beautifully put together and embellished. 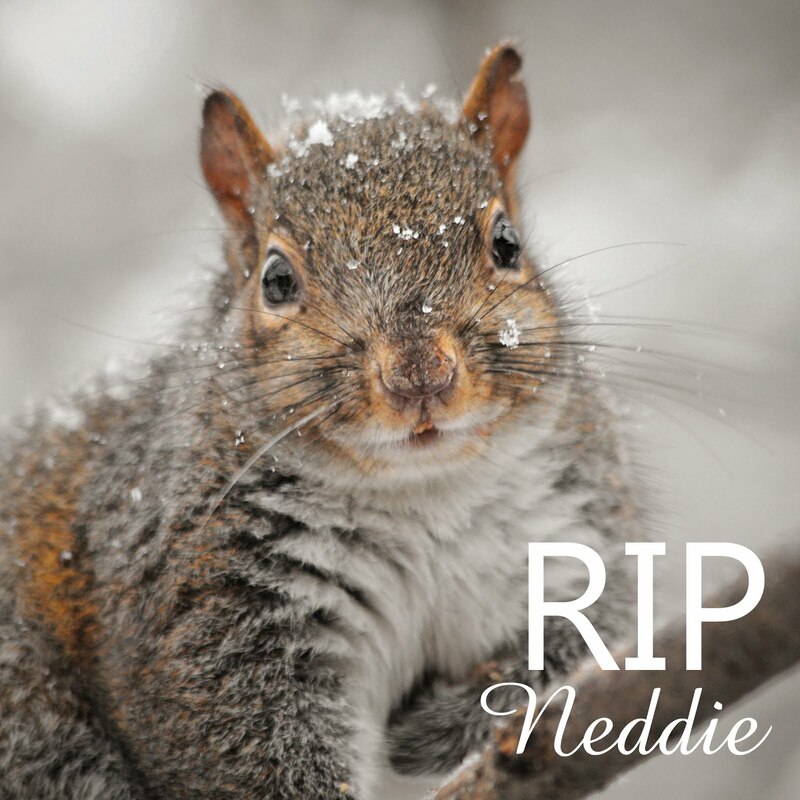 And I have a squirrel names after me - or sqibble as our youngest granddaughter calls them. One for die hard romantic ! Gorgeous..layering and pretty colors ! the beautiful floral cluster with bow looks fantastic ! Wonderful card witha amazing details. Love the photos too. Such a delicious card I felt I may be able to take a bite as it looks like it is made of icing. Stunning for sure. The photographs today shows what can happen when your love of wildlife is so great. 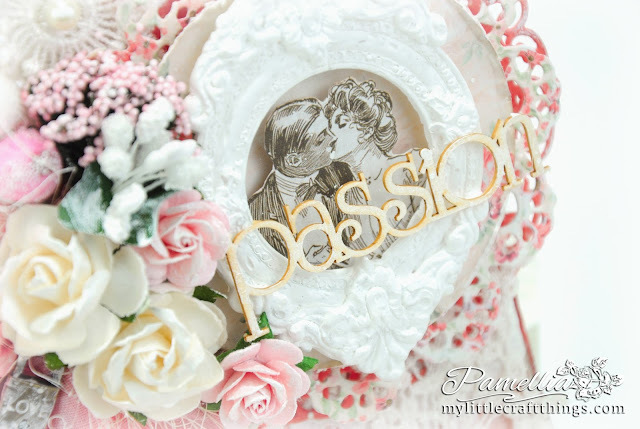 It really is a beautifully romantic card Pamellia, I love the pinks, the wonderful layering and the beautiful frame to set off the couple - just wonderful. Sorry I have been absent again, so loving all these cards of yours, such beautiful creations. 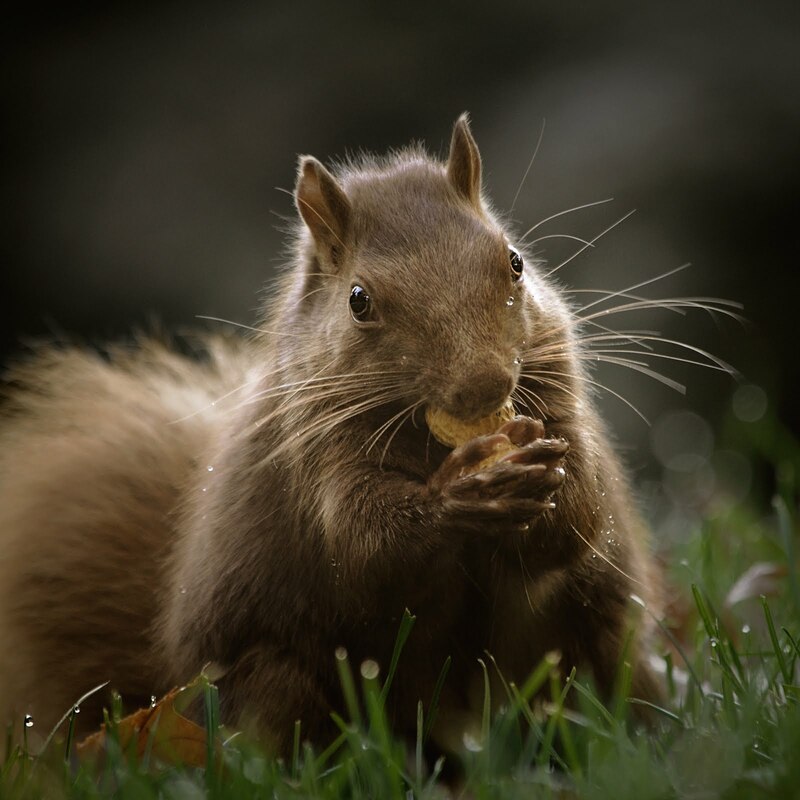 Those photos are amazing, loving 'The Shire' what a great place, you seem to have so many different colour of squirrels over there we only have the grey, very occasionally might we see another colour lol! Keep up the good work hun. 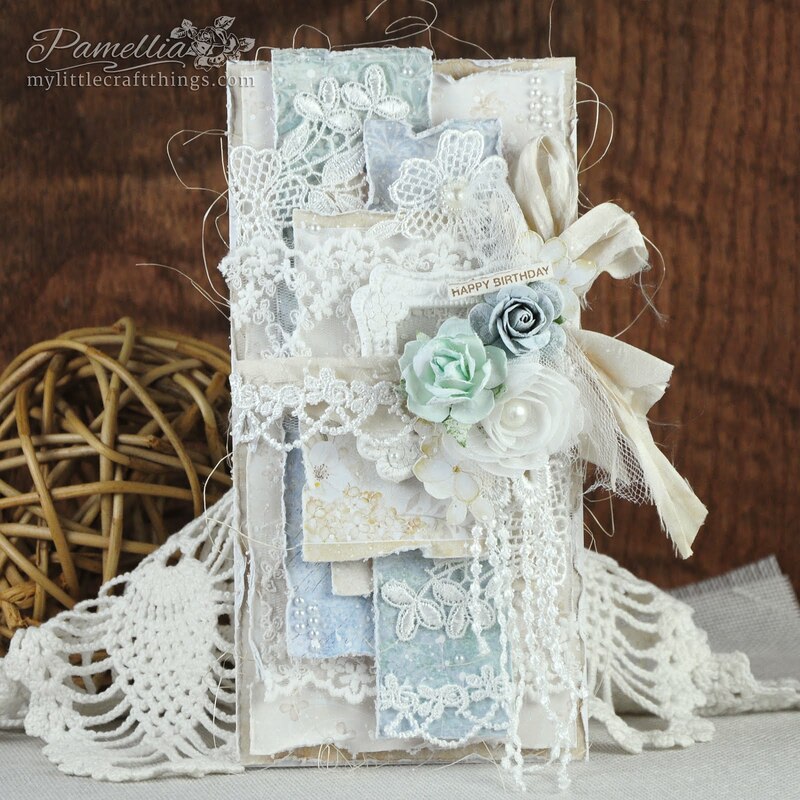 Wow another breath taking card Pamellia, so many yummy layers to enjoy looking at. I'm just stunned at your photography skills, they really are amazing and far superior to most wildlife stuff I see! Your card is exquisite! Love the colors-so romantic and old fashioned feeling! Wow! 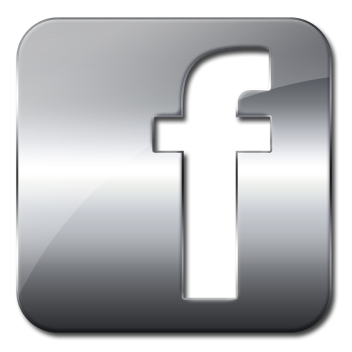 Your up close and personal photos are just fabulous! How ever do you tell these lil friends apart?? I do love sweet Karen's coloring-beautiful! 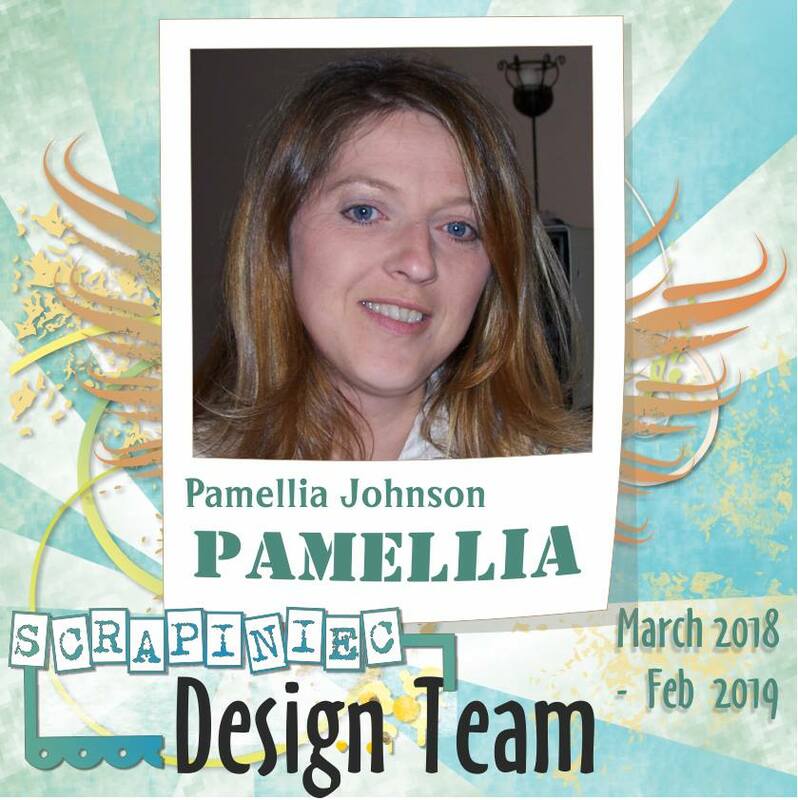 What a gorgeous card, Pamellia! Love it! 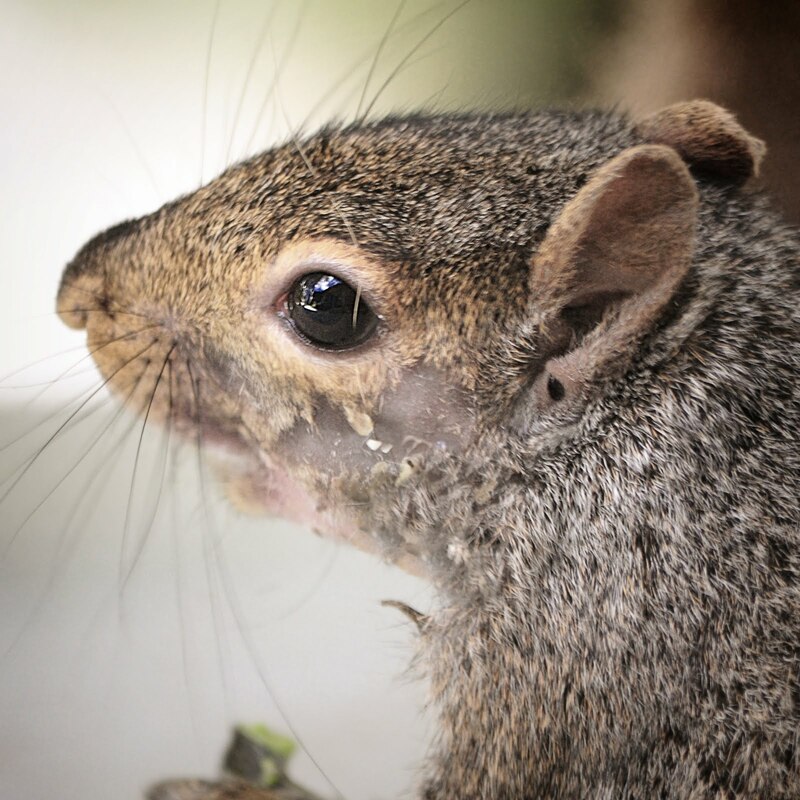 The photo of the poor squirrel who had her food taken away is heartbreaking! So glad you were there to make sure she got some treats. Do you have to sit long with food in your hand before a bird comes and eats from it? 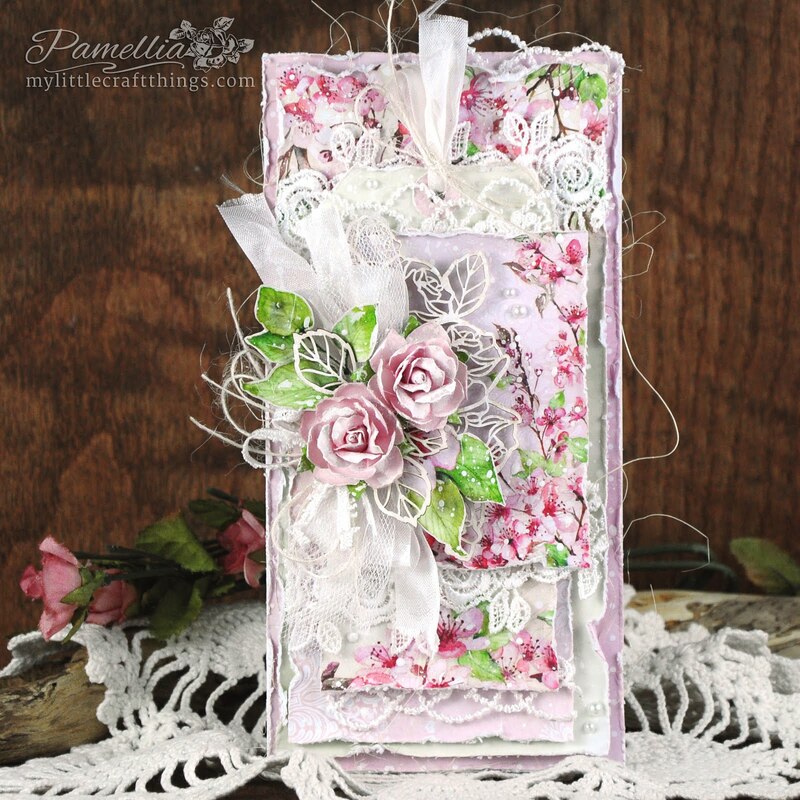 Gorgeous card as always Pamellia, your layers look stunning. Great photos, your patience is being rewarded with so many super shots. 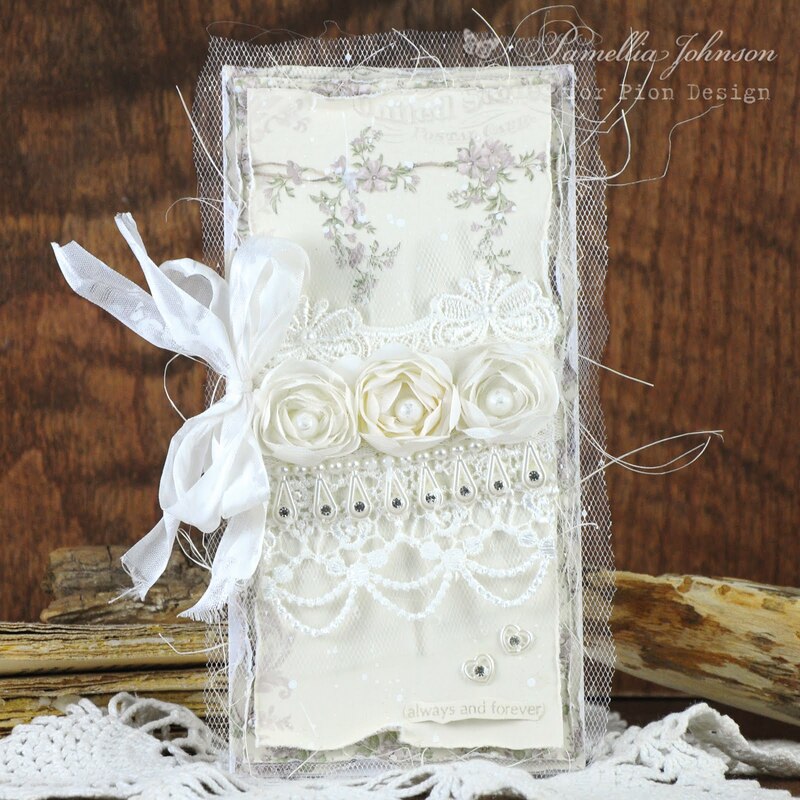 Beautiful card .Love the gorgeous lace. another of your really stunning creations today. The colours are so wonderful and gorgeous as is your stunning design. Absolutely stunning card today, so very romantic in shades of pink and cream, perfect for a wedding or anniversary, a wonderful keepsake to treasure. Love the amazing wildlife photos too. WOW...so stunning Pamellia..what a gorgeous card and I love the pink...beautiful...all your Squirrel shots are brilliant and they are the cutest little creatures..and junior loafing around in the tree..he is a character that one..I love to see your posts..
Another beautiful card Pamellia, so romantic. 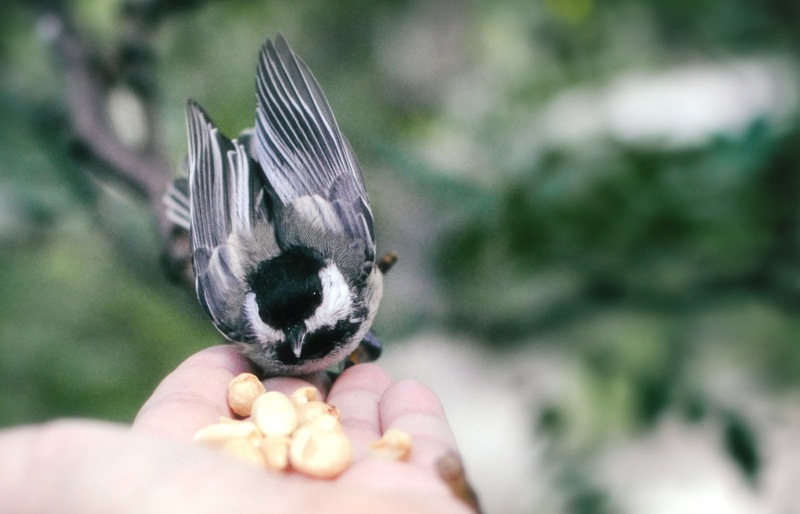 fabulous photos today, and the chickadee eating from your hand is amazing. Another lovely, lovely card! Love the colors(I'm almost a pinkconvert! 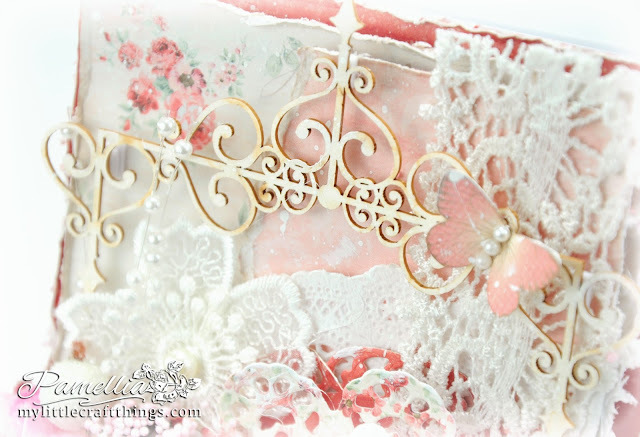 ), the flowers, 3 dimensional and lace, the beautiful hand casted frame and the delicate chippies! You've got me sold on every single product listed! How 'bout, I purchase, you create? Did I ever tell you have darn talented you are?! As for the wildlife shots,you have totally amazed me! Those squirrels are putty in your hands, and I have a feeling stage 2 might be much shorter than you think! The friends at home a looking good, and that Karen is a beauty! I never knew squirrels came in so many flavors! And am I ever jealous of you getting the chickadees to eat from your hands! You have the patience of a saint! In Saint John, Virgin Islands, the tiny sugar birds will eat sugar from your hands, but up here, I can only get the house wrens to become the tiniest bit domesticated. 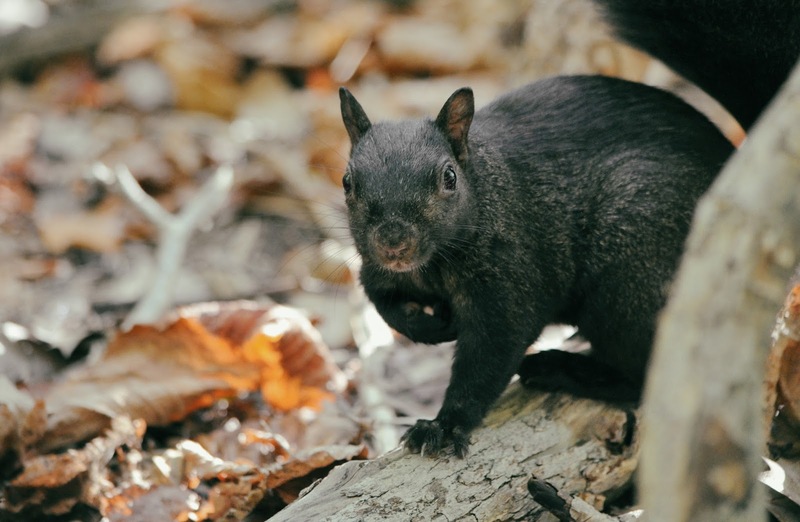 I'm wondering if you've gotten any hummers yet. I have only seen one all summer! Big hugs to you! 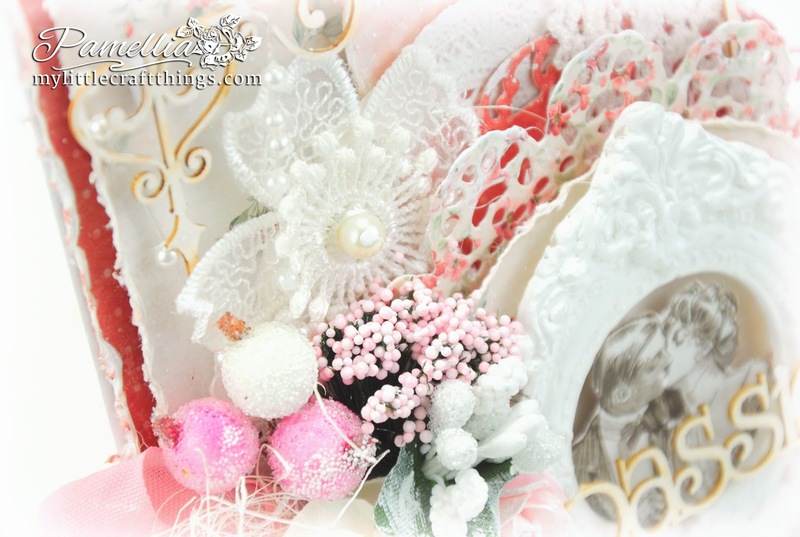 The frame and the love lock are two fabulous catch-eyes and love very much the diecut doilies and flowers with the berries and the stames, they make the card very sweet! And the wooden elements look so beautiful! I enjoy so much your spot in the wood and the shots of your new friends!! 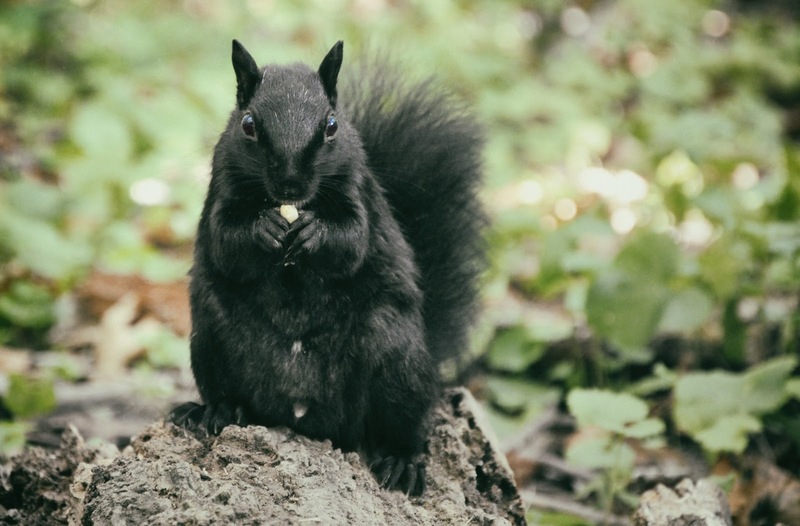 :D The new confidence of these squirrel is really a great step, now they know that you give them some food and they wait you! :D I don't think that the second step will be so long, if they have faith on you and on your bag of food... ;) I think that you will see that they will still draw near, at least the bravest! 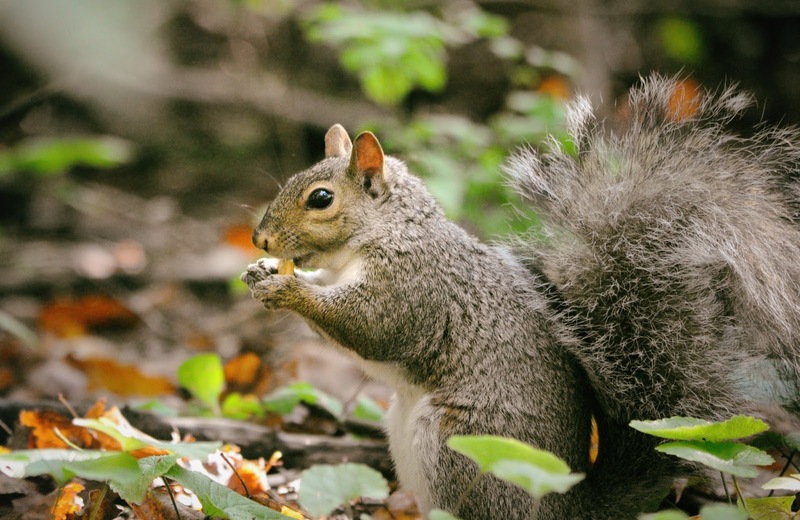 It's time to make supplies for the winter! ... Poor little squirrel that haven't had her nuts.... How you know that she is a girl, at that distance?? 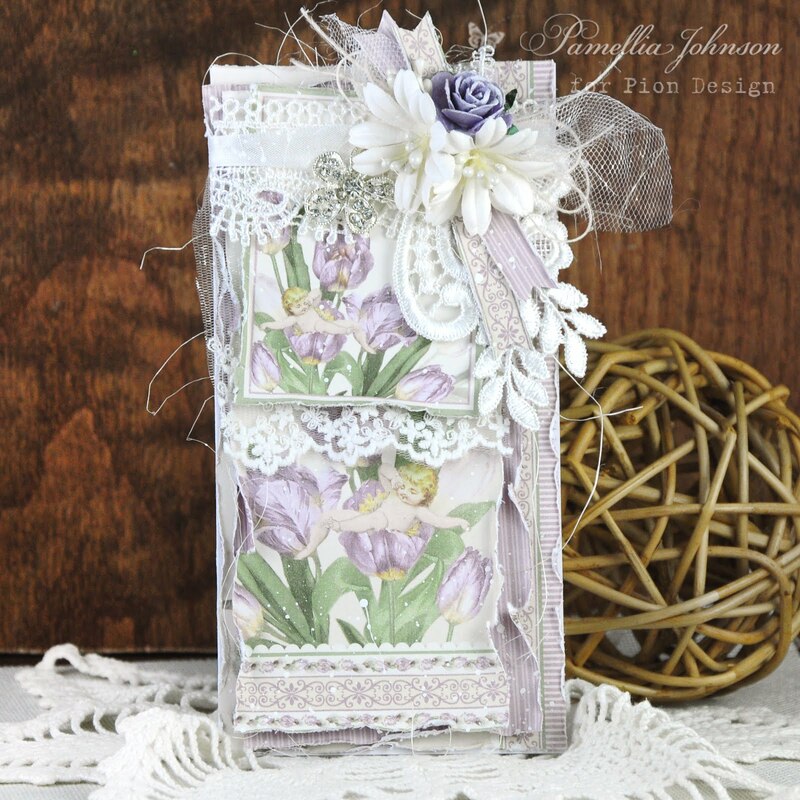 Another of your stunning creations Pamellia, stunning papers, colours and fantastic layers in this design, with you`er fabulous embellishments. 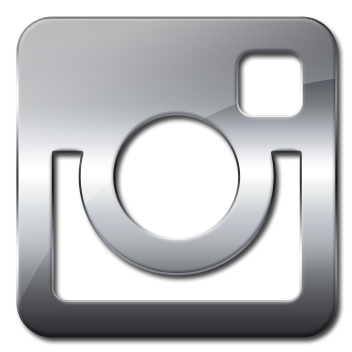 What adorable photos you have shared today, you must have a lot of patients waiting to take your fabulous shots. 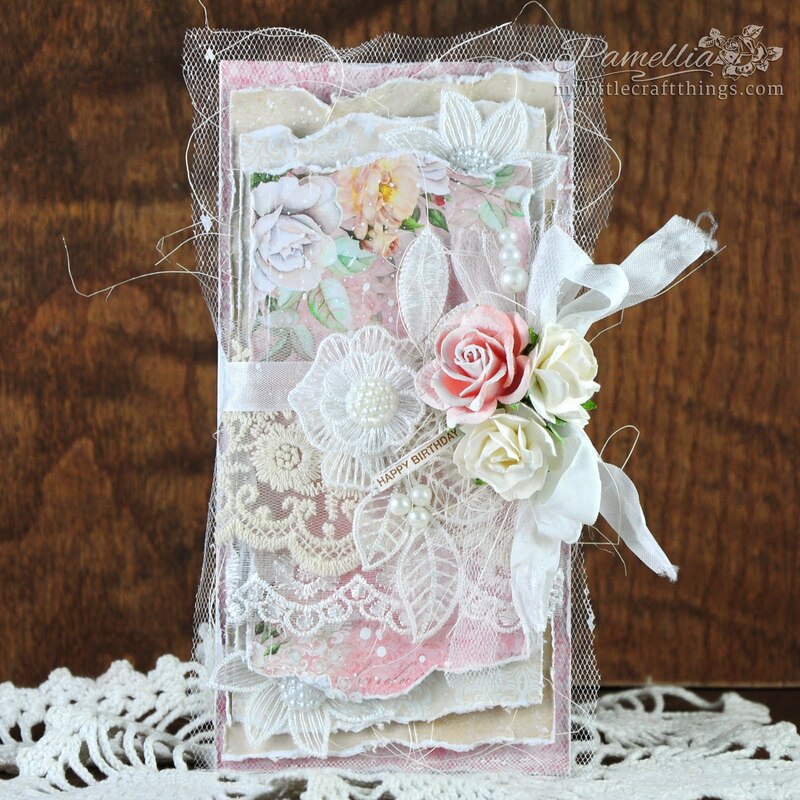 Very pretty card Pamellia! I love that little lock added to the shabby bow! What a gorgeous touch! The layer upon layer of shabby chicness at it's best! Lovely card! Love the photos of your card as well! You make them excellent and bright! 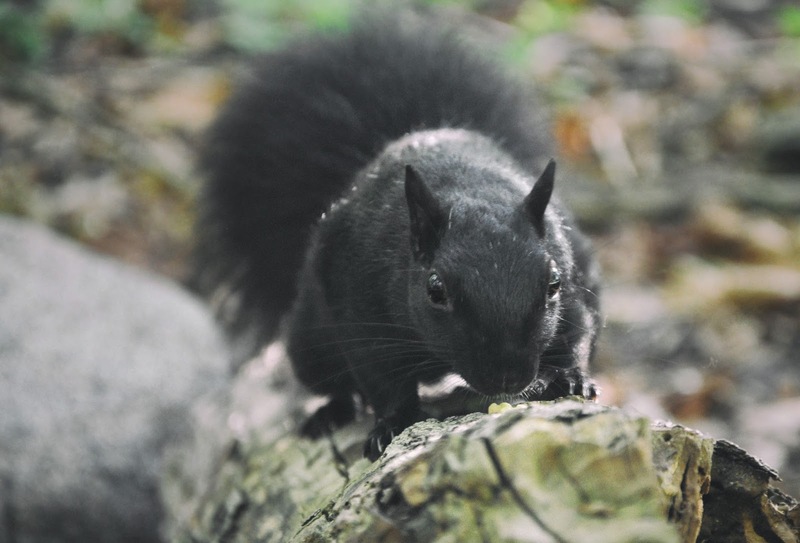 And love the cute little squirrels! Always love the birds!! A gorgeous card again, Pamellia, such a beautiful ode to passion! 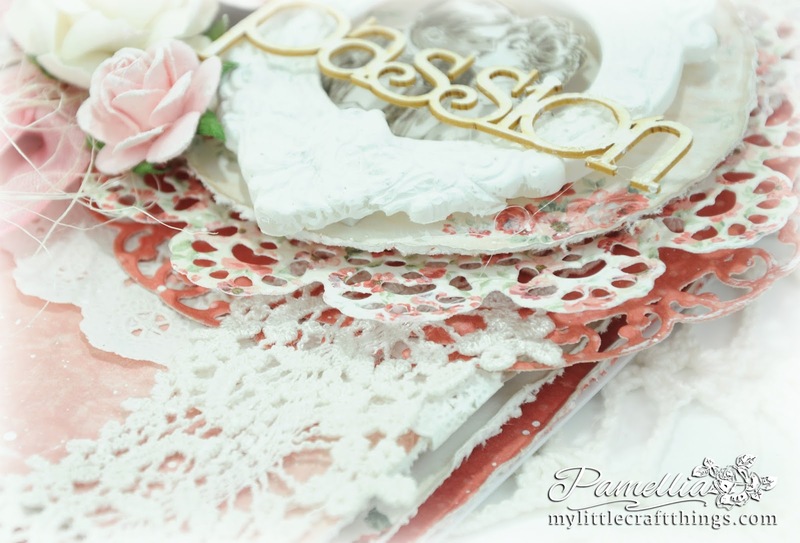 Your creation is beautiful Pamellia - love the colour and layers over layers. The shire looks as though the locals are quickly accepting you and the food, and I am looking forward to seeing the shots you take there! 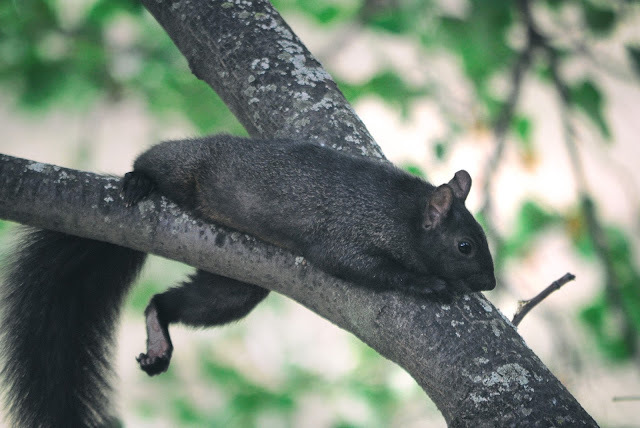 Love your locals too - Junior is just too funny hanging in the tree like that. I am amazed at all their different colourings of the squirrels - I had thought they were a gray bunch!! Another STUNNING and so VERY beautiful card with so many gorgeous details, you never let us down. Your photographs are just amazing, you have really got the knack of getting them to trust you completely. The amount of different birds you have are just fabulous. Gorgeous card and the little wooden pieces really look so delicate and pretty the way you used them... Fun photos that really have me smiling! So many Beautiful details on your card! FAB layers and love the tiny lock! 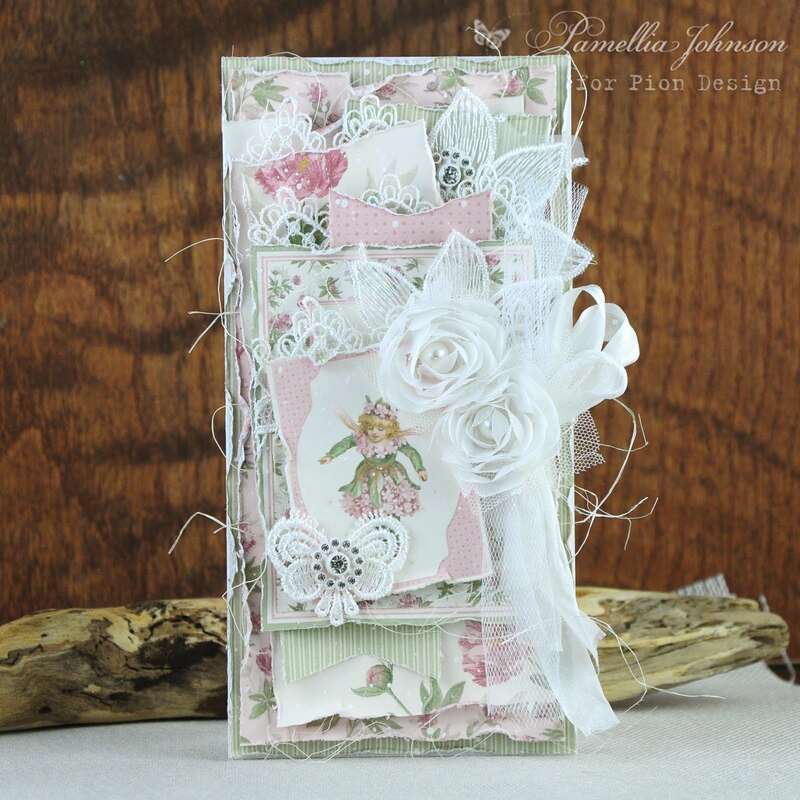 My dear friend, I adore this collection for wedding cards and yours is the loveliest I've seen. Romance and beauty abound in every sweet facet. The mould is gorgeous and I love that you filled it with an image from the paper collection. The flowers and doilies and lace.. everything is magical. The Paris frames are amongst my all-time favorites from Wycinanka and I get so excited seeing them in use. This is spectacular beyond words, Pamellia. Everything you create is a gift. 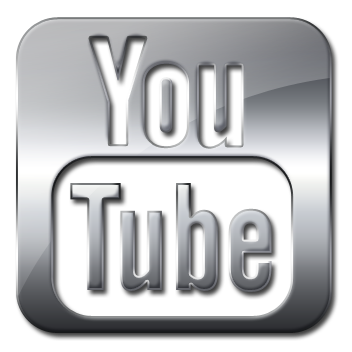 :o) LLC has been so blessed by you! 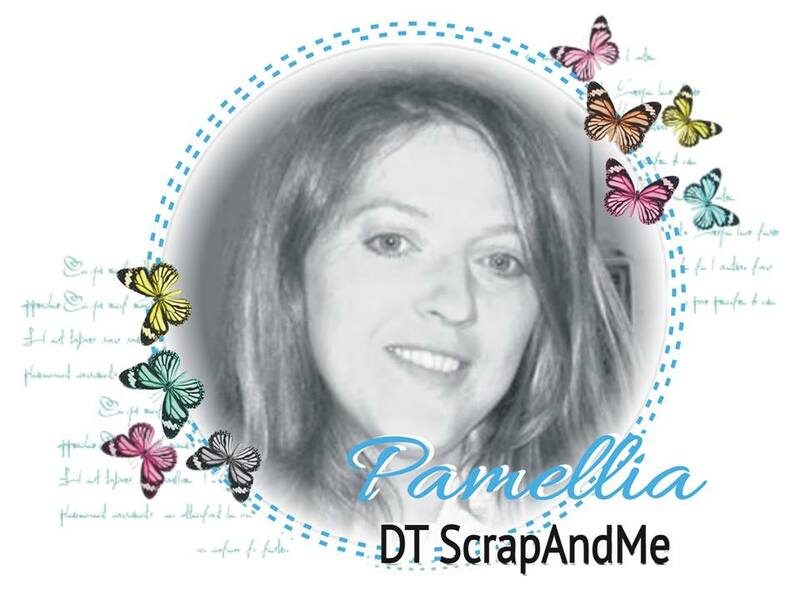 OMG, Pamellia, it's a shabby at it's best! I am completely blown away by this absolutely stunning romantic card! It's spectacular, my friend! LOVE, love, love this one! Your photos are out of this world awesome, as always and your adorable friends are always make me smile! what a gorgeous card and a very stunningly beautiful design as always. I agree you can never have too many pink designed cards, as pink is my fave closely followed by blue these days. 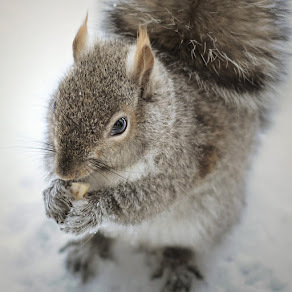 Stunning photos of your wonderful little furry friends. What an amazing feat to get that bird to eat out of you hand. My memory is getting bad didn't realize I had already commented. LOL. Gorgeous card and that frame is terrific.Love it! More brilliant wildlife shots. That chickadee snap is amazing. I know of a couple that would love this card - they cannot stop kissing - it's like their LIFE... and when one is sick... it's horrible because they can't kiss!!! It's a beautiful card Pamellia. Your sweet family is amazing. I could just watch and read and listen to your animal tales all day. I think you will be a published editor soon of all your amazing adventures and incredible photos. You make my day bright. j. 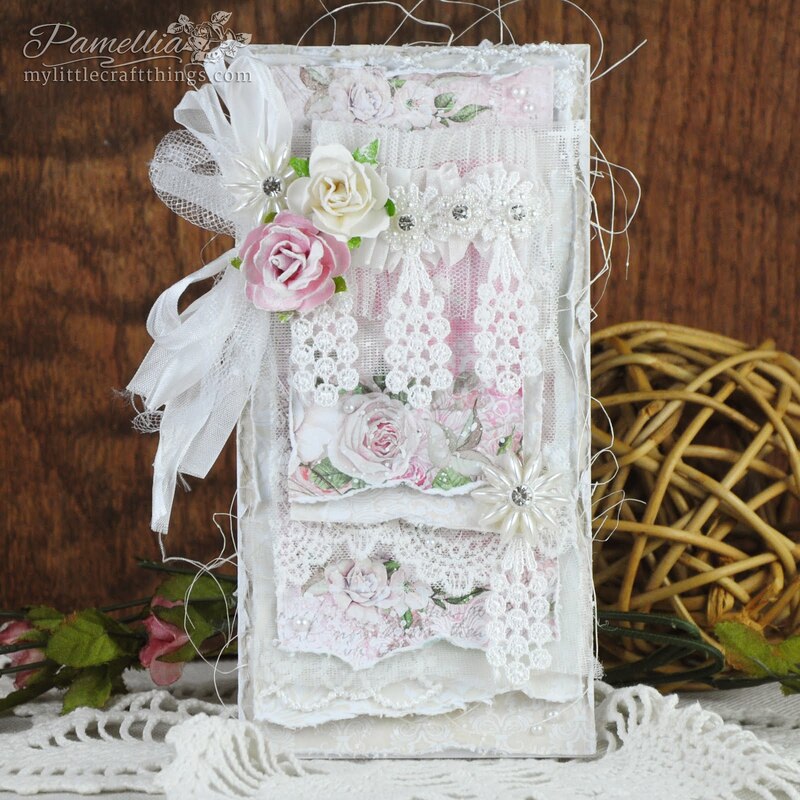 Beautiful card Pamellia, it has such an air of romance with the vintage image and that stunning bow. 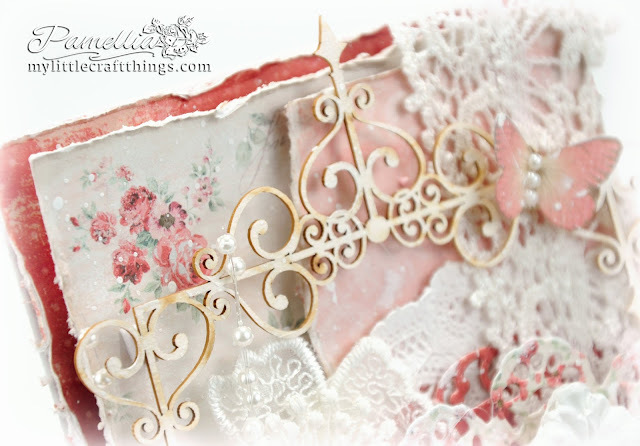 I love the lace flower, it is so very pretty, and the wooden embellishments, that really steal the show. You are already getting some amazing photographs down at The Shire, you seem to have made friends with the locals very quickly, you must have great patience. However, it is great to see the familiar faces of Brenda, Junior, Karen and Mr Scruff, Junior always makes me laugh, he is so laid-back. Another beauty Pamellia! Your paper choice is so pretty and all the textures bring out that romantic, elegant feel! I love the pretty frame and all the wonderful details that you have such an eye for! Wow, love this! 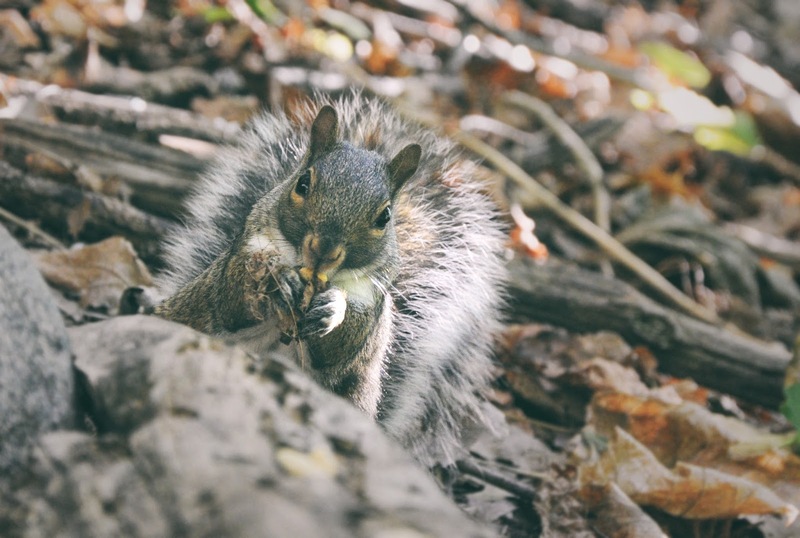 Your picture of those adorable critters area always so fun to see! I still can't believe how you can get them to eat out of your hand AND take a picture at the same time?! I love seeing your pictures..they always put a smile on my face :) Hope you had a wonderful Labor Day wknd! Oh my word - just when you think things couldn't get any more ornate and exquisite here - what a fabulous card! 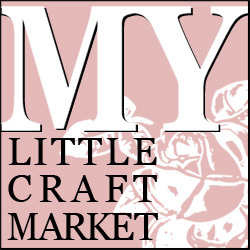 Lovely to see you guesting at LLC - it's pretty much my favourite online shop for pretty things, and Sandra is so friendly and efficient. 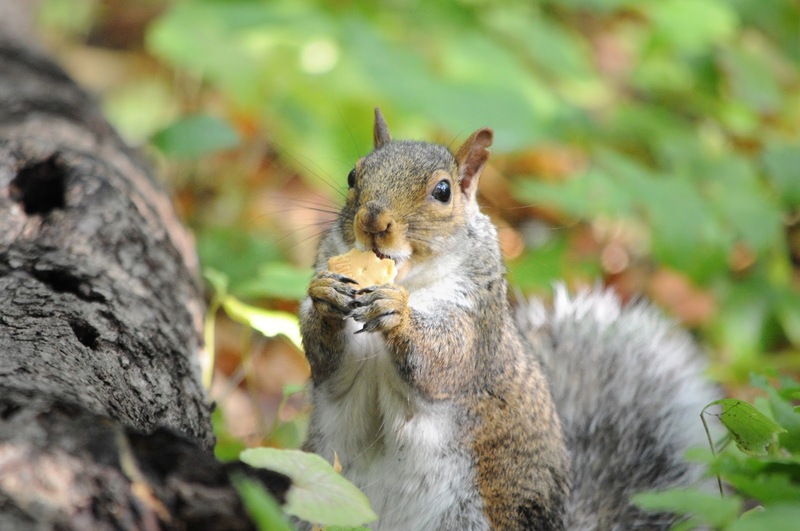 And then I'll just say squirrels, squirrels, squirrels... happy sigh! Just popping back in to say that I love your work so much, I was inspired to do my own take on your style. I've still got a lot to learn, but that's the fun part! 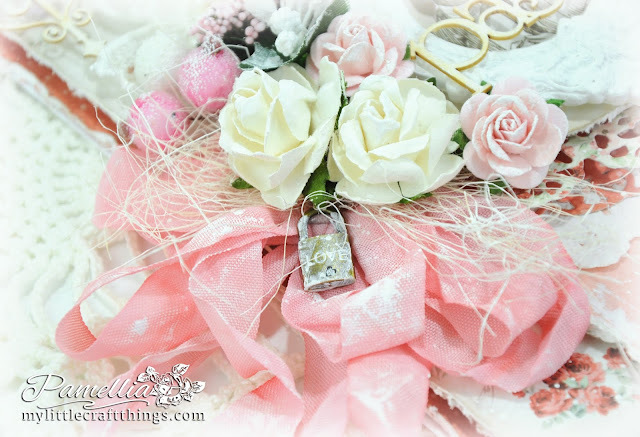 Love everything and every little detail on your gorgeous card huni! Just fabulously stylish shabby chic. I've tried using my hot glue gun to fill my silicone moulds but the results have been disappointing so I'm wondering if I need to switch to a cold glue gun. Time will tell or you'll advise me but there's no rush. Your card is just beautiful. 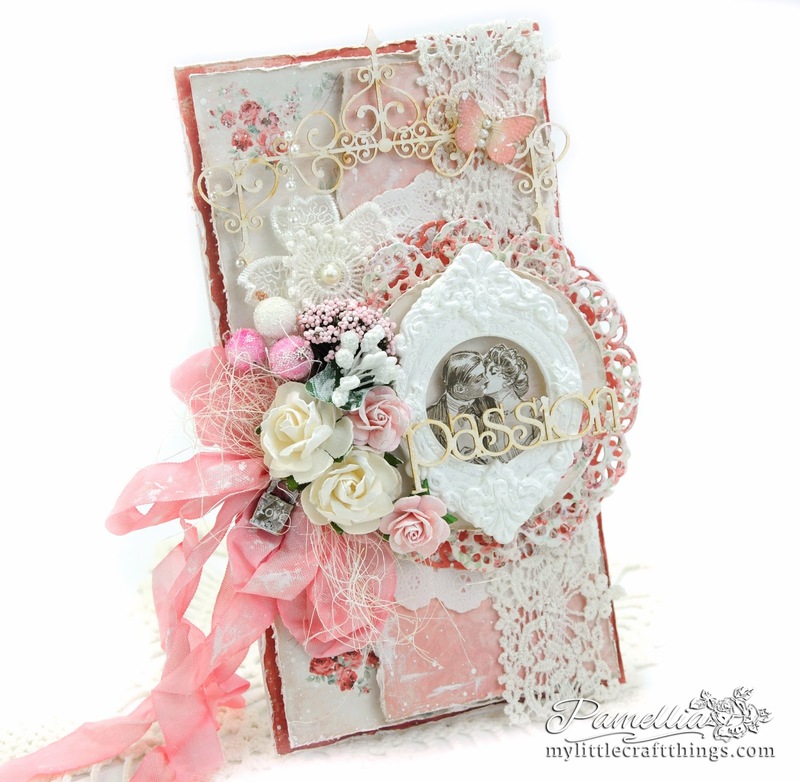 I love the fab dies and the distressed layers. 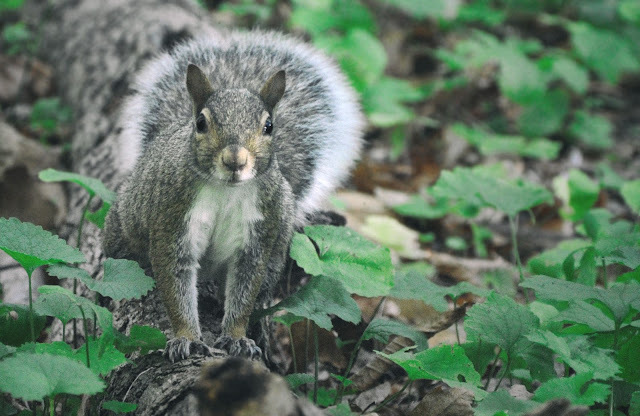 The little critters are cute, too.